Barcelona did the impossible and proved the world wrong tonight. It was no mean feat. The Spanish giants made history tonight after their emphatic victory over Paris Saint Germain (PSG) at the Round of 16 return leg 2 of their Champions League clash. 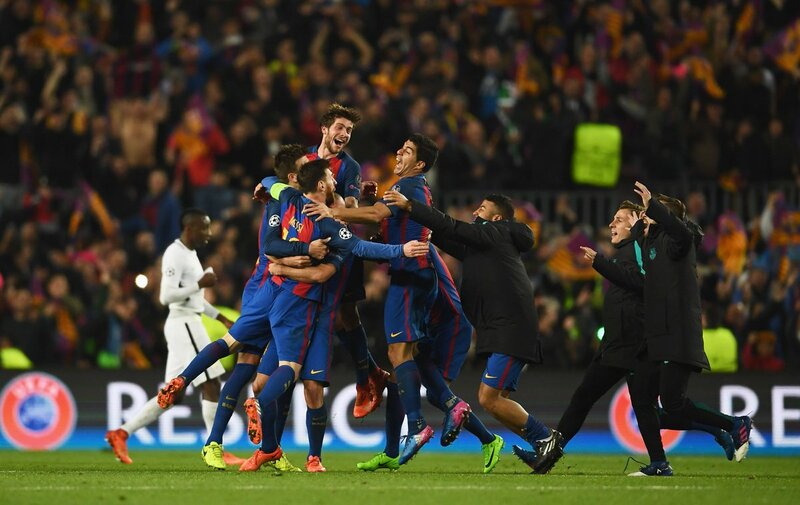 The Catalans overturned a 4-0 deficit to send PSG out of the competition with three goals in the final seven minutes. The biggest comeback in football history. A late goal by Sergi Roberto at the 95th minute produced an incredible feat for the Blaugranas and chiefly secured a 6-5 aggregate win over their rivals. Enrique’s men have now made it to the Champions League quarter-finals. They become the first side in Champions League and European Cup history to overturn a first-leg 4-goal deficit. Darmian to Manchester United, Vidal to Madrid and other transfer gists.